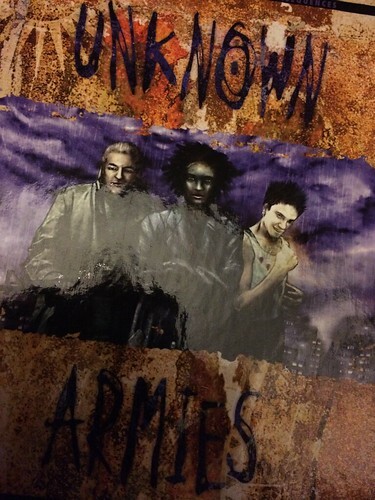 The weirdest RPG that I own is Unknown Armies. The game is a take on a modern occult conspiracy setting by John Tynes (Pagan Publishing, Delta Green) and Greg Stolze (Reign, others). It's weird in that it fits nicely into the genre known as weird tales, and also because some of the ideas are completely bizarre, for example a cult built around fast food franchises. However, it meshes together really well and I had a very enjoyable game of this at the very last Convulsion, run by Newt N. His game had the conceit of an occult investigation run by a variety of TV cops. I had Lewis (Morse's assistant) and Martin S had Regan from The Sweeney. The interplay between my Lewis being nice and polite and his Regan was somewhat entertaining, and the exchanges somewhat rude. Great game. Especially as Jonathan Creek kept on getting abuse from everyone. As an aside, Lamentations of the Flame Princess nearly made the cut for this, but I only own scenarios and supplements for that rather than the game itself. It's most definitely weird though.